Lidar (light detection and ranging) is a relatively new remote sensing technology allowing us to collect very dense point samples of features in 3D. 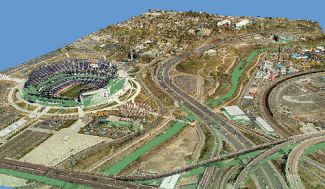 Lidar technology has evolved to become a common source of geographic data in GIS. These vast collections of real-world points are typically stored in LAS files. Each lidar point can have additional attributes such as intensity, class codes, and RGB color values, which can be leveraged inside ArcGIS. ArcGIS reads LAS files natively, providing immediate access to lidar data without the need for data conversion or import. LAS attributes can be used to filter out content and symbolize points in 2D and 3D. Also, as lidar data often comes as a group of files, ArcGIS provides the ability to define logical sets of LAS files for working in localized projects. A 3D view of lidar points, symbolized using their embedded RGB (color) values. Data courtesy of Merrick. 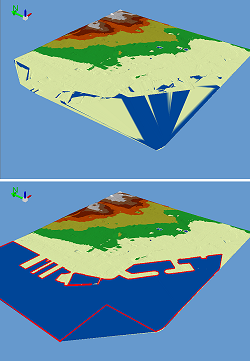 A 3D view of lidar as a TIN surface, using only the bare-earth returns. Data courtesy of Merrick. 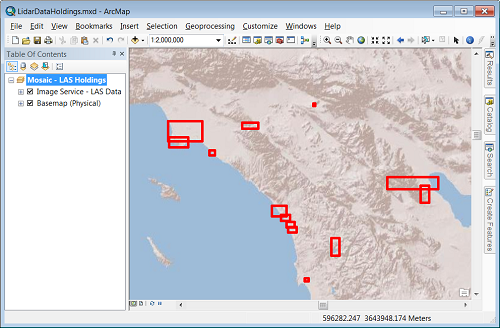 Import LAS workflow through multipoints into a geodatabase based terrain dataset. Data courtesy of Mecklenburg County GIS. 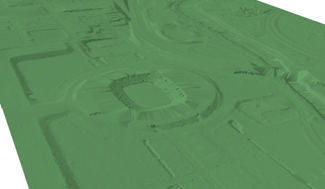 Manage all your lidar data holdings using Mosaic datasets, and share them as an Image Service. 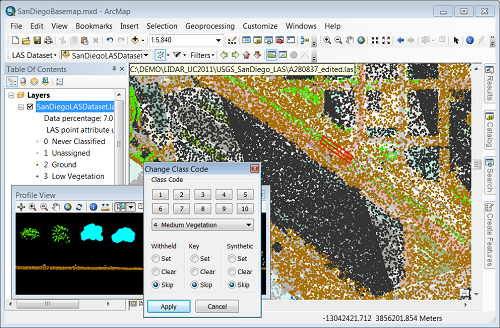 Interactively select and update lidar class codes. 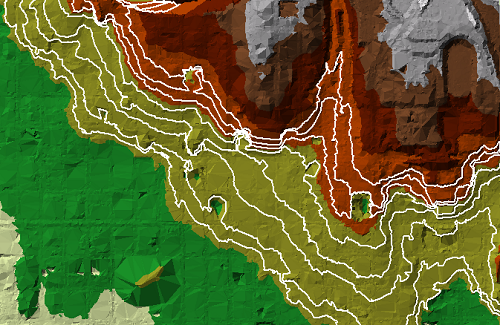 Create contours against a bare-earth lidar surface. Improve the quality of your lidar surface by including surface constraints, such as a breakline between the ocean and the land. 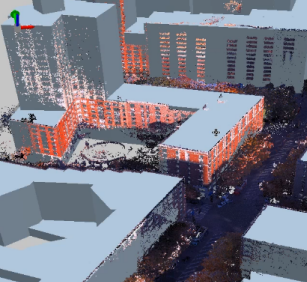 Terrestrial lidar and 3D GIS buildings. Data courtesy of NAVTEQ.